Happy New Year! Here is a quick summary of what ACYF accomplished in 2017 and what we hope to accomplish in 2018, with your help! Umingmak Child and Youth Support Centre development made great strides completing strategic planning, applying for multi-year funding, formalizing partnerships, developing our Policy and Protocols, and securing funding for equipment and much more. For more information on this project, please contact Sarah Clark, our Executive Director at sclark@acyf.ca. We have a lot of exciting work to do! Thanks to everyone we worked with in 2017 and looking forward to 2018, please contact or drop by our office in 8 Storey if you have any ideas, comments, questions, thoughts, or just want to chat! We are very proud and grateful to receive a donation from Wade Brown, Associate Portfolio Manager and Wealth Advisor at RBC Dominion Securities. 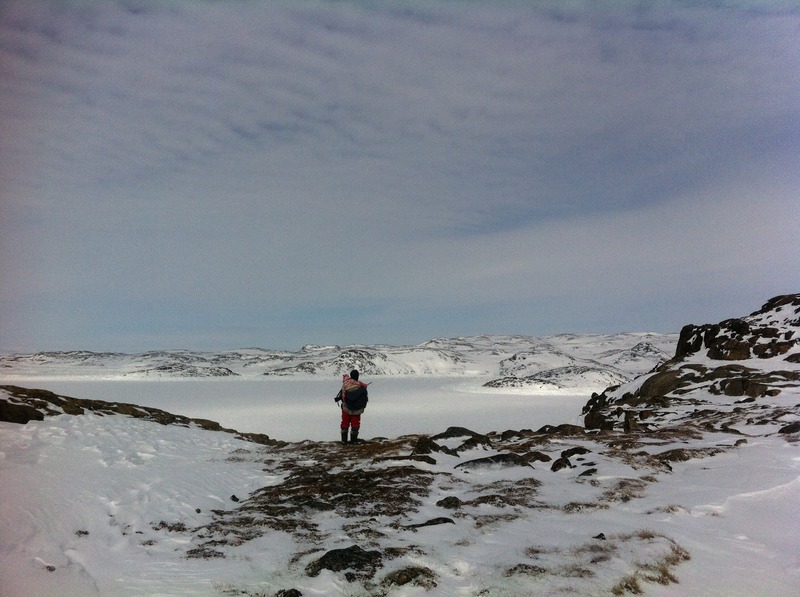 We were lucky to be able to meet Wade on his visit to to Iqaluit for the Nunavut Trade Show. RBC has been a great supporter of our Foundation and we look forward to continuing our partnership in serving Nunavummiut. This funding will go towards our mental health programs and our initiative to develop the Umingmak Child and Youth Support Centre, a centre that will support children, youth and their families after a disclosure of abuse. 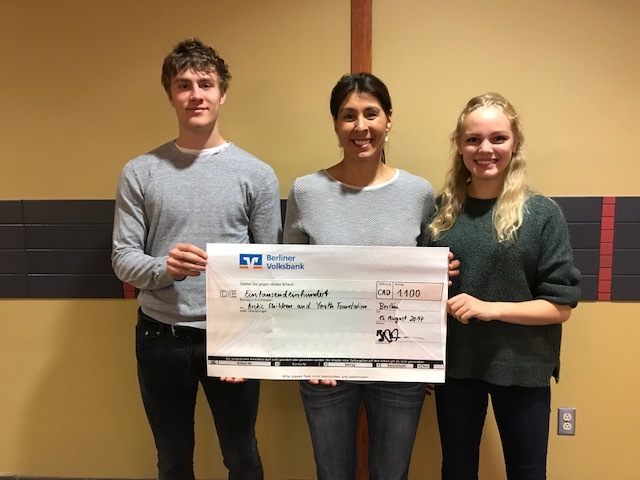 ACYF was recently contacted by an organization in Berlin, Germany, stating that they would like to donate the proceeds of their Canada 150 celebration fundraiser to our Foundation. To begin with, I was unaware that Berlin celebrated Canada Day, and so, was doubly appreciative that they decided to donate to us. 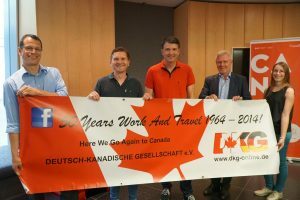 Deutsch-Kanadische Gesellschaft is a non-profit organization that promotes the economic, cultural and human-relations between Germany and Canada. Embassy Councilor David Ehinger accepted the cheque in the name of our organization, fromHolger Bockner who organized the celebrations, in Berlin. (Interesting fact: Holger is the founder of the Poutine Kitchen, and responsible for bringing the first, authentic taste of the Canadian dish to Germany). 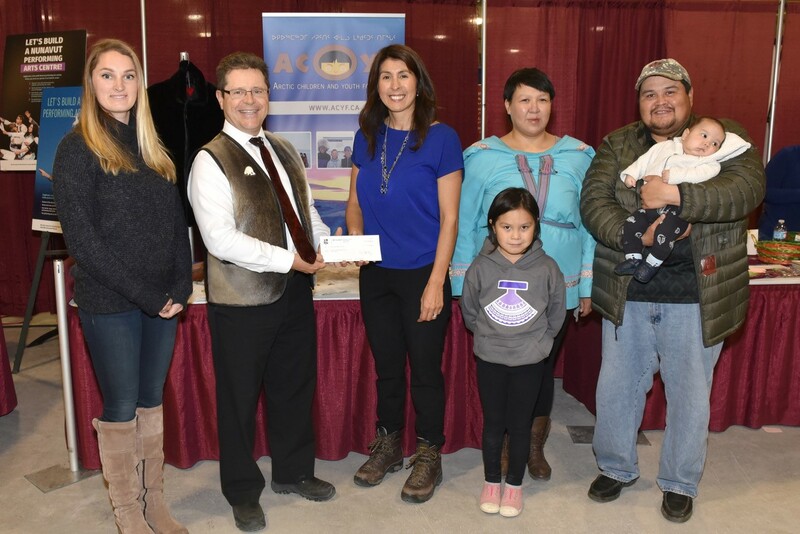 Lilly and Tim, pictured here with our Chairperson, Udloriak Hanson, are participants of the DKG’s Student Program, and transferred the cheque officially to ACYF, here in Iqaluit. They have decided to travel and work in Canada, and have appreciated what they have learned in Iqaluit, especially to fish and build a bonfire. Alianait! 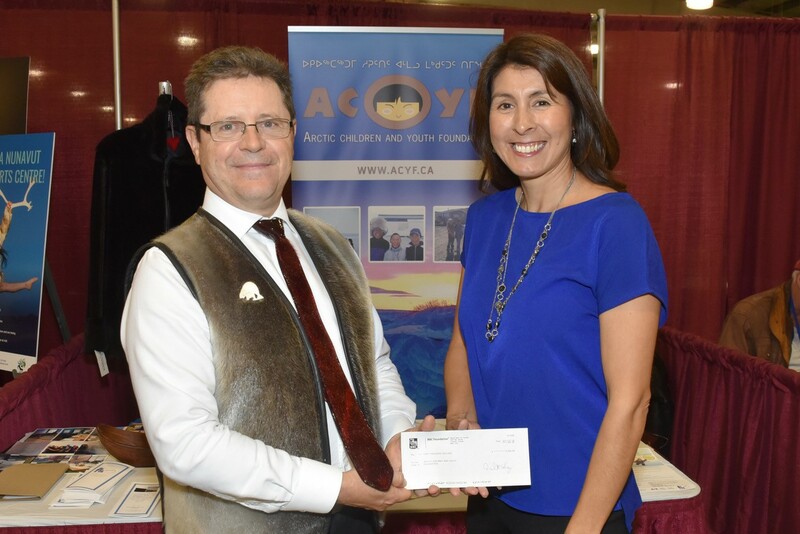 This donation will go directly towards the youth in our northern communities. We will use it to deliver mental health programs, and opportunities for youth to actualize their potential. Qujannamiik! 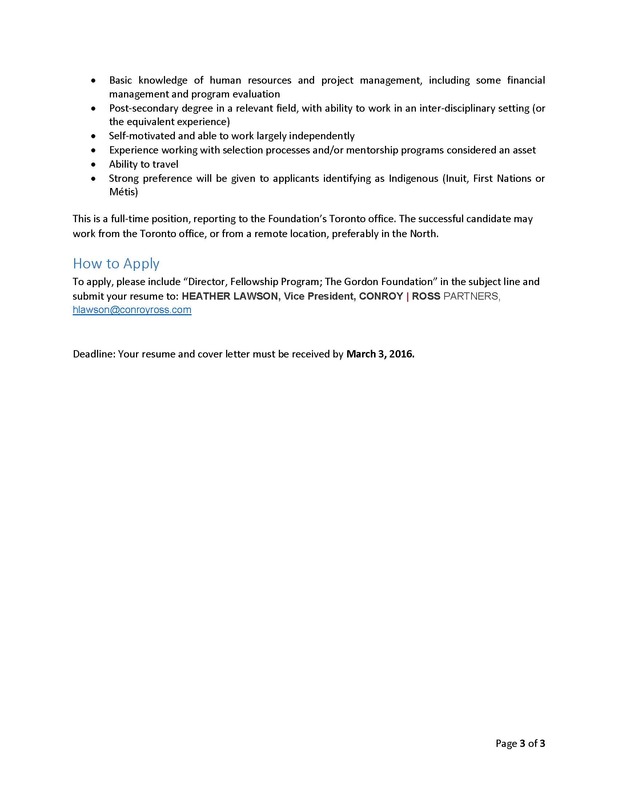 The Arctic Children and Youth Foundation (ACYF) is inviting qualified applicants to submit a proposal to develop content for the Peer Leader Mental Health – Train the Trainer program. The scope of this project is the completion of a facilitator’s guide and participant workbook for the Peer Leader Mental Health program. 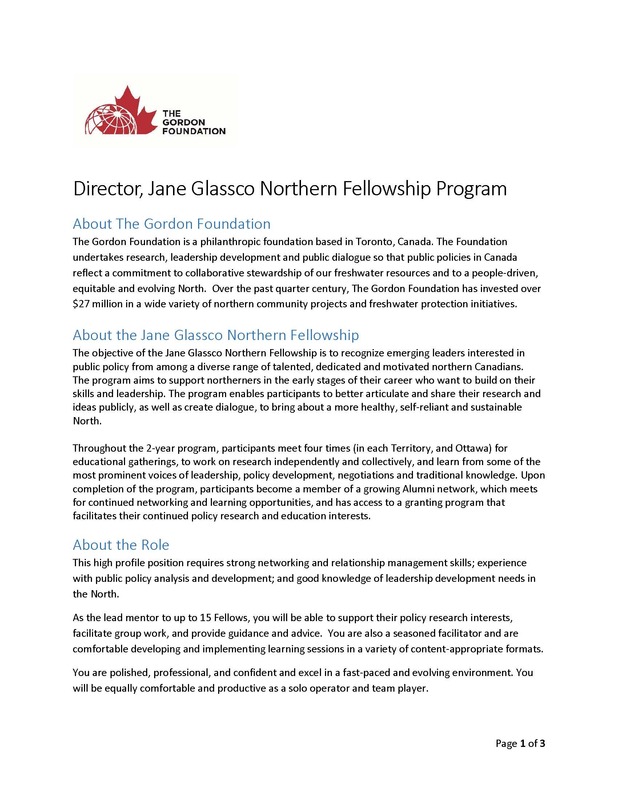 It will include reviewing current program content, consulting with ACYF facilitator and Project Lead, and any suggested content or program improvements. Submissions to undertake this work will be received until July 15, 2017 at 5:00pm EST. 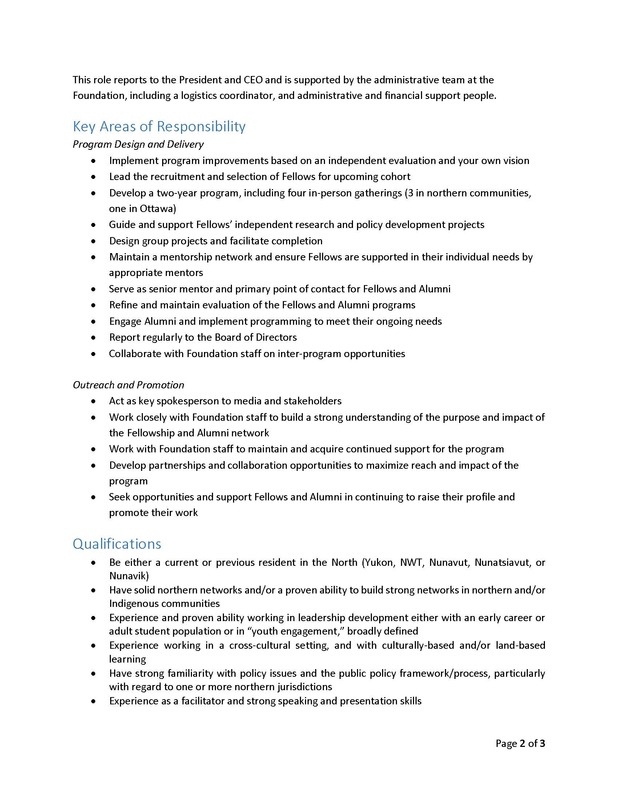 Proposal must quote “Peer Leader Mental Health – Train the Trainer program” on the cover sheet. Expressing yourself is difficult, taking care of yourself and your friends is important and meeting people in your community that can help is key! These are the ideas that underlie our Peer Leader Mental Health program. This program was asked for by youth during our Umingmak Child and Youth Support Centre Feasibility Study, who stated they needed help dealing with trauma, both their own and their friends’. During the 3-day course, youth learn about historical, vicarious and personal trauma, ways to cope and express themselves and are connected with a strong peer network. They are also introduced to community members and role models who are there to help. 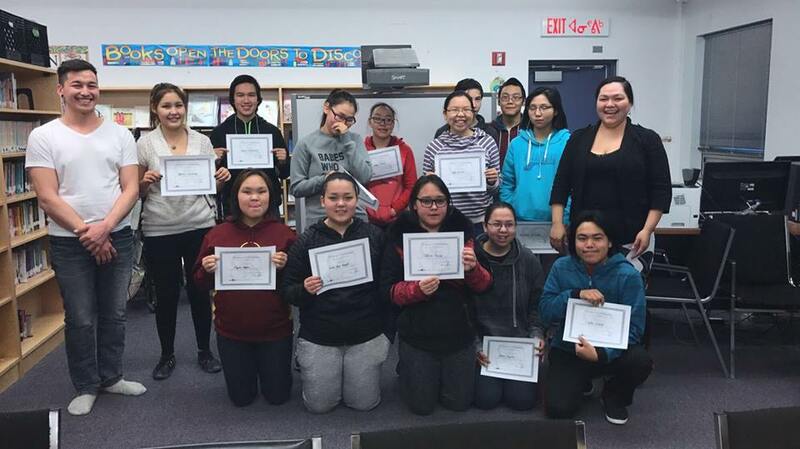 Recently, our Peer Leader Facilitator, Delma Autut, was in Cambridge Bay and will be traveling to Kugluktuk to deliver the program. In the future, we will be developing a Train the Trainer program and training local facilitators so that this program can be delivered year round by a local role model.